Sure, "A Charlie Brown Thanksgiving" is one of the best Turkey Day TV memories of all time (mmm...pretzels, toast, popcorn and jelly beans). 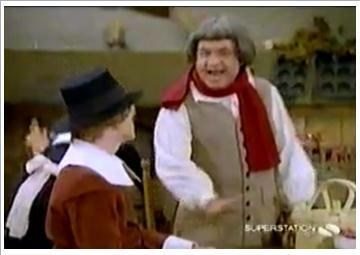 But what about this episode of "Happy Days" from 1978, where Marion tells the story of the first Thanksgiving? It's a 1950s-meets-1620s-meets-1970s TV mashup that's tastier than a thick slice of pumpkin pie.